Marvelous Marvin Hagler, was born on May 23, 1954 in Newark, New Jersey. Hagler is widely regarded as one of the greatest middleweights of all time and finished his career with a record of 62-3-2 with 52 knockouts. Marvin Hagler was a # 1 ranked Middleweight boxer for many years before he could fight for the title. He often had to travel to his opponents' hometowns to get fights, and he even boxed against the best that the city of Philadelphia had to offer. He lost decisions to Willie Monroe and Bobby 'Boogaloo' Watts, and had to suffer while watching less deserving challengers receive title shots against Carlos Monzon and Hugo Corro. This served for Hagler to build upon a strong character. Hagler avenged his 2 defeats by knocking out Monroe and Watts in rematches, and won a 10-round decision over Bennie Briscoe in a classic Philadelphia confrontation, and by this time he had made fans in both Massachusetts and Philadelphia. By then, promoter Bob Arum, a lawyer who had helped in the White House during President John F. Kennedy's tenure, took notice and signed him. Marvin Hagler needed some gubernatorial help, but Arum pulled the strings, and finally, in November 1979, Hagler was in the ring with a world Middleweight champion. Vito Antuofermo gave Hagler a shot, and the fight turned into a Middleweight classic. One of the greatest championship bouts in Middleweight history was unfortunately marred by controversy, and Hagler had to settle for a draw. This only added to Hagler's frustrations. Antuofermo lost his title later to Alan Minter, who gave Hagler his second title shot. Hagler went to London and beat Minter, who had stated "no black man will take my title", in 3 rounds at the Wembley Arena. At the conclusion of this bout a riot broke out, and Hagler and his trainers had to be carried away to their locker rooms by the police, in the middle of a rain of beer bottles and glasses. Hagler proved a busy world champion, and he defeated future world champion Fulgencio Obelmejias of Venezuela by a knockout in 8 rounds, and then former world champ Antuofermo in a rematch by knockout in 5 rounds. Both matches were fought at the Boston Garden near Hagler's hometown, endearing him to Boston fight fans. Mustafa Hamsho, who would later defeat future world champion Bobby Czyz, followed, and the Syrian fighter was beaten in 11 rounds.Michigan fighter Caveman Lee lasted only 1 round, and in a rematch in Italy, Obelmejias lasted 5 rounds. British champion Tony Sibson followed in Hagler's list of unsuccessful challengers, falling in 6 rounds, and Wilford Scypion went in 4. By then, Hagler was a staple on HBO, the Pay Per View of its time. A fight against Roberto Duran followed and Duran was the first challenger to last the distance with Hagler in a world championship bout. Hagler won a unanimous 15 round decision, although after 12 rounds two of the judges had Duran ahead in a tough contest. Then came Juan Roldan, who became the only man to drop Hagler, scoring a questionable knockdown seconds into the fight, but Hagler got angrier and proceeded to beat Roldan, stopping him in 10 rounds. Hamsho was given a rematch, but was again beat, in three rounds. On April 15, 1985, Marvin Hagler and Thomas Hearns met in what was billed as The War. 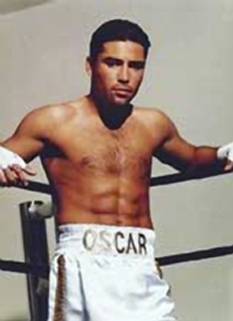 This fight is widely regarded as one of the most brutal and thrilling boxing matches of all time. Hearns, who was expected to box and take advantage of his superior reach, stood toe to toe with Hagler from early in the first round. The pair fought at a ferocious pace with the crowd giving a standing ovation as the bell sounded to end the 1st round, in which Hearns broke his devastating right hand. Hagler who was pressing for such an exchange was happy to fight on the inside, both fighters landed hurtful punches but Hagler appeared to have the advantage with his more solid chin. Hagler, despite a cut to the head, managed to overpower Hearns in the third round, scoring a decisive knockout. Next was John Mugabi of Uganda, who was 25-0 with 25 knockouts and an Olympic silver medalist. Hagler took Mugabi's best shots and came back handily, stopping Mugabi in the 11th in what would turn out to be his last successful defense. Due to the vicious body shots sustained, both men would later urinate blood. Hagler's next challenger was Sugar Ray Leonard, who won a controversial split decision in Las Vegas on April 6, 1987. The decision remains a subject of debate to this day among sports fans, some of whom felt Hagler landed the harder shots and controlled the pace of the fight from the fourth round on. 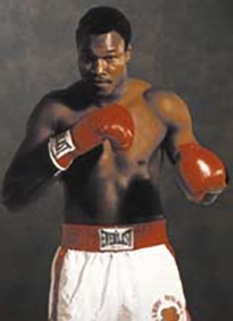 The opinion of those fans believing Hagler deserved more from the judges was summed up by veteran British boxing journalist, Hugh McIlvanney, who reported in the British Sunday Times that Leonard's plan was to "steal rounds with a few flashy and carefully timed flurries....he was happy to exaggerate hand speed at the expense of power, and neither he nor two of the scorers seemed bothered by the fact that many of the punches landed on the champion's gloves and arms." Those who watched the fight live and on PPV generally agree that Hagler was never hurt and at no time in the fight was ever in trouble from any of Leonard's punches. The actual fight statistics show Leonard landing 306 punches to Hagler's 291 which attests to the closeness of the contest. Marvin Hagler changed his name legally to Marvelous Marvin Hagler and made some commercials, most notably a commercial for Pizza Hut and, later, Gillette. He thought his decision loss to Leonard was undeserved, and quit boxing, saying he was tired of the backroom politics of the sport. 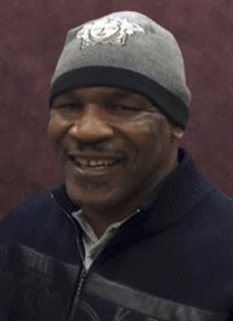 The loss, however, was hardly bad for Hagler, as he walked away with an estimated $37 million from his purse and revenues from pay-per-view. Hagler had a unique training regimen in which he would often hole up on Cape Cod in motels that had closed for the winter. For his "road work" he would take to the pavement in army boots, declaring running shoes, "sissy shoes." He would run much of his route backwards to prepare for the movements in the boxing ring. Marvin Hagler was named Ring Magazine Fighter of the Year for 1983 and 1985. 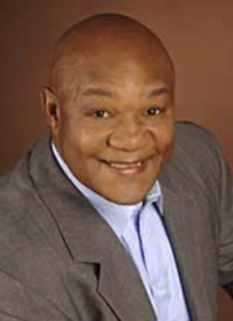 He was inducted into both the International Boxing Hall of Fame and the World Boxing Hall of Fame in 1993. After the loss to Leonard, he moved to Italy, where he made movies: his roles include a US Marine in the movie Indio and "Indio 2". In 1995, he starred alongside Giselle Blondet in another low budget film. Hagler also does regular boxing commentary for British Television. Other forays into the entertainment field include work in the videogame Fight Night: Round 3 and the film "Diggstown." DISCLAIMER: PFP Sports Talent Agency does not claim to represent itself as the exclusive agent for Marvin Hagler. PFP Sports Talent Agency is a booking agency that represents organizations seeking to hire pro athletes and sports personalities such as Marvin Hagler for speaking engagements, personal appearances, product endorsements and corporate entertainment. Fees on this website are estimates and are intended only as a guideline. Exact fees are determined by a number of factors, including the location of event, the talent’s schedule, requested duties and supply and demand. PFP Sports Talent Agency makes no guarantees to the accuracy of information found on this website and does not warrant that any information or representations contained on this website will be accurate or free from errors. We are often asked how can I find out who is Marvin Hagler's agent? To find Marvin Hagler appearance fees and booking agent details, you can contact the agent, representative or manager through PFP Sports Talent Agency for speaking fee costs and availability. PFP Sports Talent Agency can help your company choose the ideal sports personality for your next marketing campaign. To hire Marvin Hagler for an appearance, speaking event or endorsement, contact Marvin Hagler's booking agent for more information.